Karachi, March 23rd: What a way to celebrate Pakistan Day! 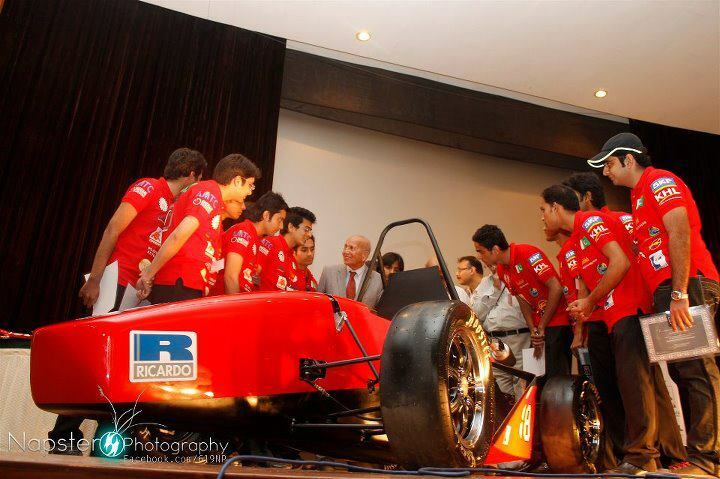 Students of NED University of Engineering and Technology held their Media even for the launch of Pakistan’s first Formula-style car as part of the Formula SAE Competition. Formula SAE (Society of Automotive Engineering) is an international competition between engineering students involving the design, construction and dynamic testing of an open-wheel racecar. NED University is the first engineering institute in the country to have introduced Automotive Engineering. Being the pioneers, they will be the first team to compete in an international competition of such stature which will be judged by the racing industry’s most prominent engineers and consultants, including Bill Mitchell, Doug Milliken, Claude Rouelle and Jack Auld. I m a team member of Formula NED. yes its not like formula 1. basically its a Formula SAE (FSAE) competition.